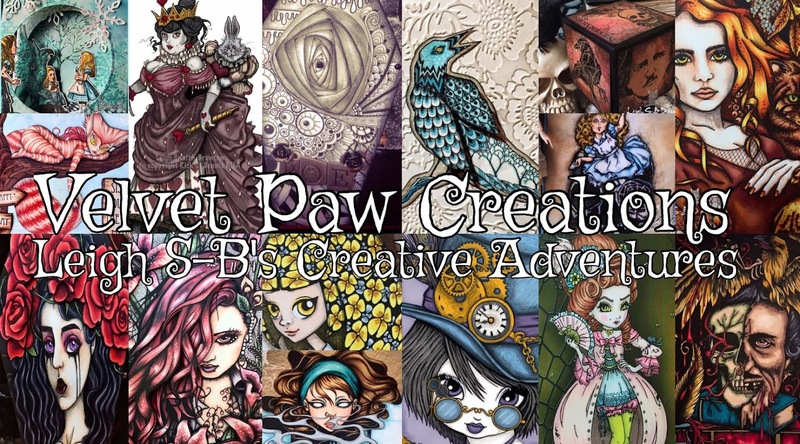 Velvet Paw Creations: Skull Appreciation Day Blog Hop with Smeared and Smudged! Skull Appreciation Day Blog Hop with Smeared and Smudged! Oh it's a SAD SAD day...NOT, LOL! 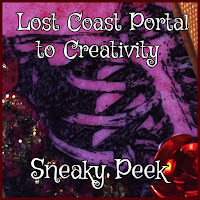 Welcome to the first of my blogs playing in this year's Skull Appreciation Day Blog Hop hosted by the fabulous Smeared and Smudged team! 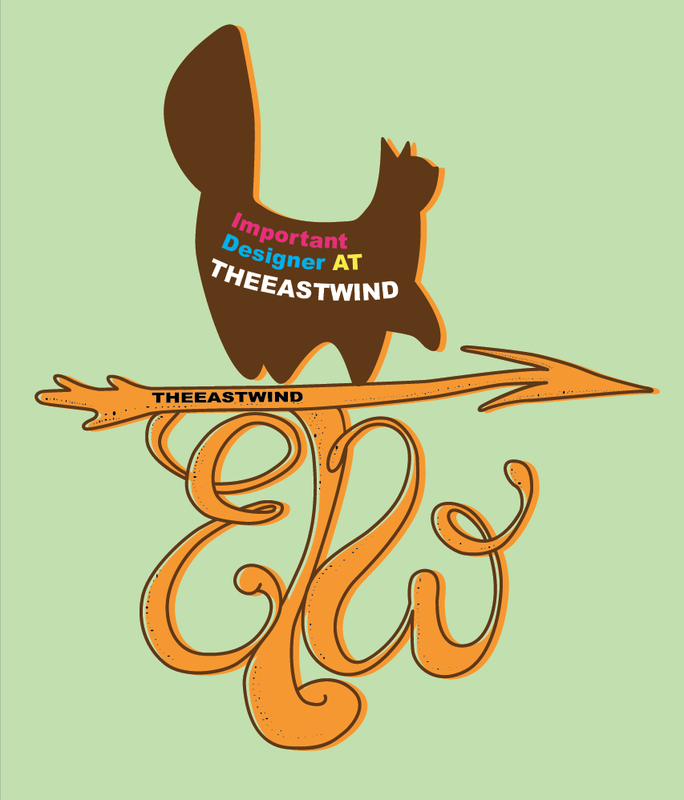 Thanks so much for hopping with us all today! 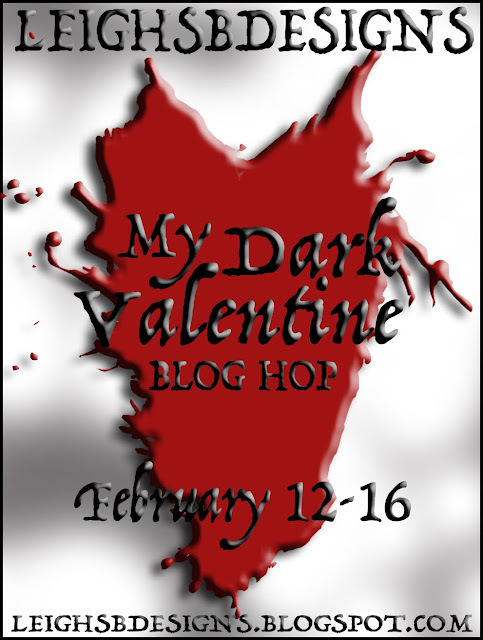 Here's the blog roll to keep you going and if you stopped by here first then start the hop at the beginning on Black Dragon's blog, you do not want to miss all the fangtastic skullie eye candy being shared today! 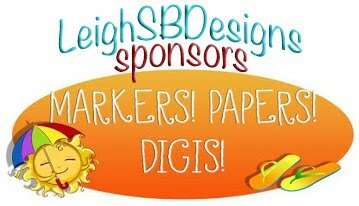 Leigh S-B - U R HERE! 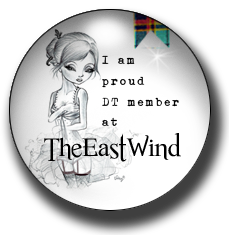 Here's my 1st Smeared and Smudged DT project for today! 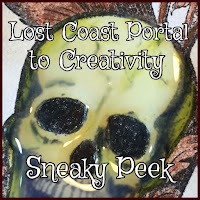 I've got another one on my DominoART blog plus 3 more on the Lost Coast Portal to Creativity blog which just happen to be your are next 2 stops today! 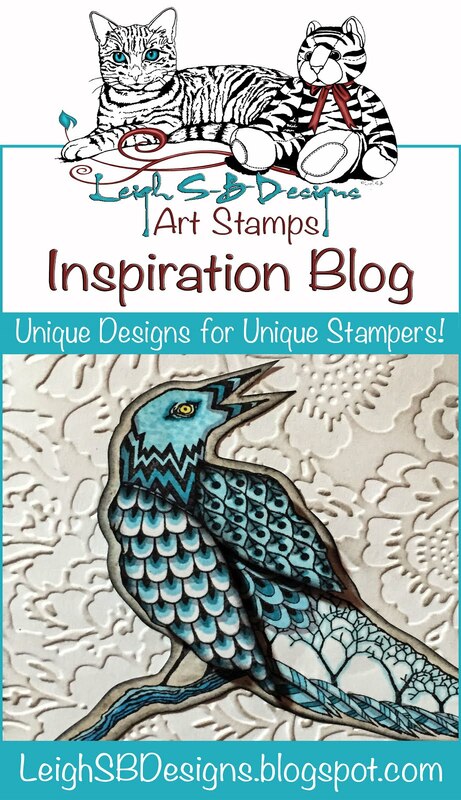 I used Smeared Ink's rubber stamps on this one. 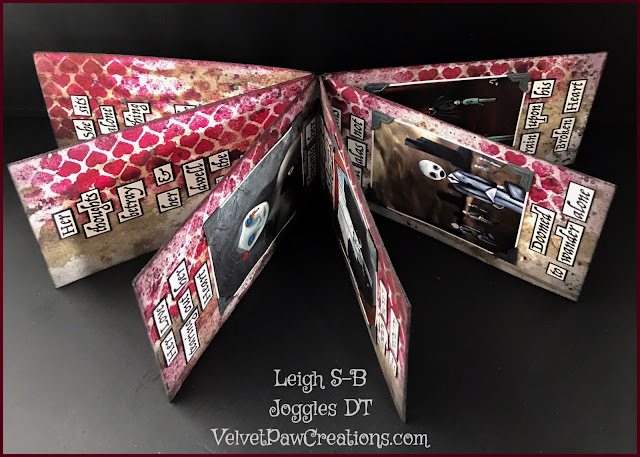 I decided to pull out my stash of marble background papers created with the shaving cream technique and artists inks in shades of red and grey, I also added Vanilla Smooch Spritz to the marble paper to give it a magical shimmer. 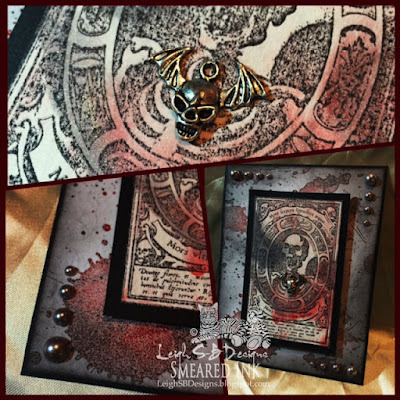 I stamped the skellie for the focal point onto the marble paper with black Memento Ink, trimmed and layered it onto black cardstock and cut the border with my favourite Perfect Layers tools by Perfect Paper Crafting (use my special code LBrunton to get 10% off your entire order). The large ink splatter background was stamped on white cardstock with Fired Brick and Black Soot Distress Inks and then more Black Soot ink was applied with a foam ink applicator and then adhered to a black mat . 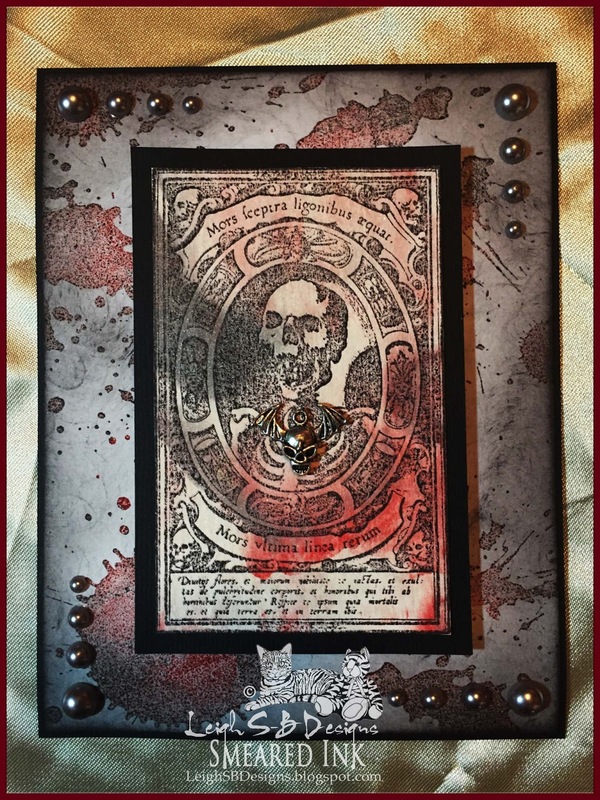 The main panel was embellished with a winged skellie charm and mounted on the background with black foam dots and then I added the self adhesive grey pearls on all 4 corners. 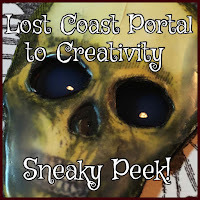 Here's some sneaky peeks at my 3 LCD DT projects made for the Lost Coast Portal to Creativity part of the SAD hop! 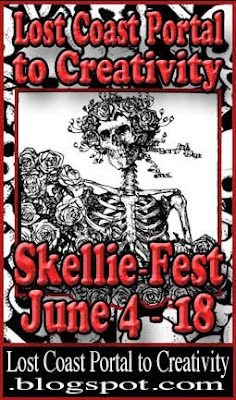 Today is also the start of our 1st Skellie-Fest event that runs through to June 18th with a $20 gift certificate to spend at Lost Coast Designs and Carmen's Veranda! 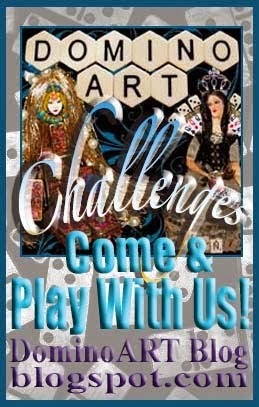 Don't forget to return after the hop and play to win! 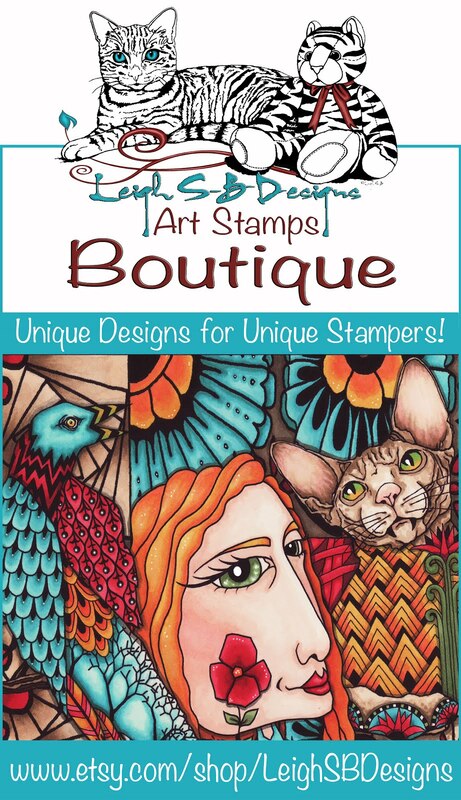 Leigh these are all stunning, the backgrounds are superb and lovwe the little charm. Just wonderful Leigh.....lots of detail! 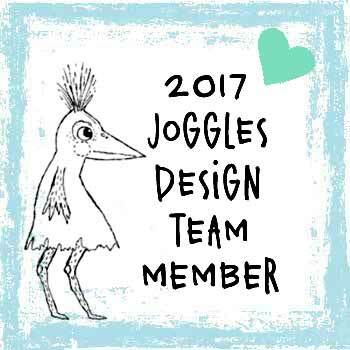 Love your work... So inspiring! 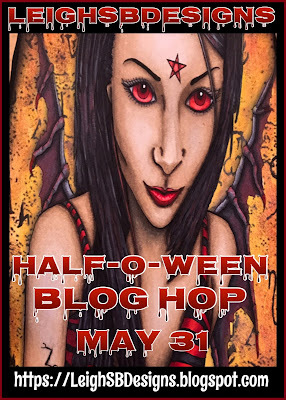 Scary Fairy Blog Hop with Smeared & Smudged! "Pretty in Pink" Dark digi art for Smudgy Antics!